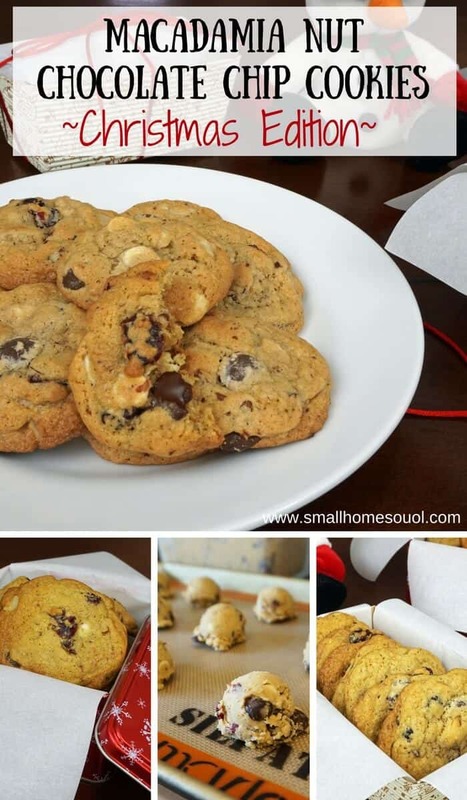 Chocolate Chip Macadamia Nut Cookies - Holiday Cookie Blog Hop - Girl, Just DIY! Hi friends, I know it seems a little early to start talking about Holiday Cookies but my blogger friends and I wanted to get our favorite holiday cookies together for you. We hope this inspires you to try a few new recipes when you’re ready to start your holiday baking. 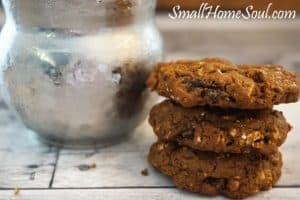 You can find links to the other 11 yummy cookie recipes at the bottom of this post (look for the little gingerbread man). I must give some credit to The Village Baker’s Wife cookbook for inspiring my cookies. My sister shared the recipe with me many years ago and I’ve changed and perfected it to my liking over the years. *If you don’t have almond meal increase flour by 1/2 cup. 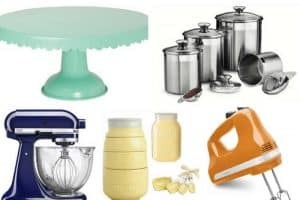 Gather all your ingredients from their various storage spots in the kitchen or refrigerator. I like to measure out all my ingredients first. This helps me ensure I don’t miss something (what baker or cook hasn’t missed an ingredient?). Here’s how I prep my dry ingredients: Both sugars are measured into one bowl and combined. Flour, Almond Meal, Baking Soda, Baking Powder, and Salt are measure and combined into one bowl. 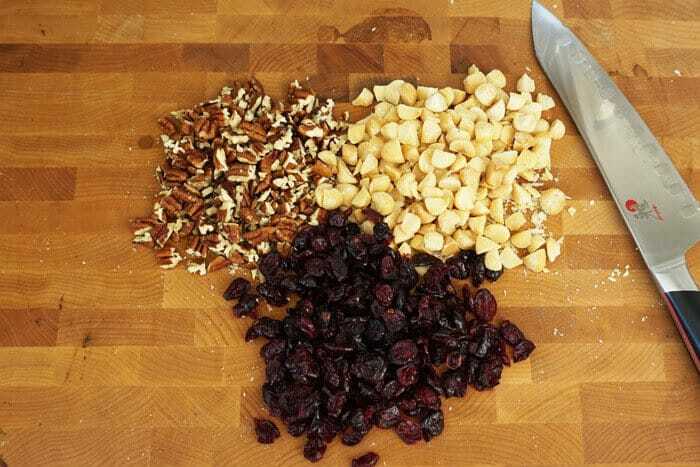 Measure both types of Chocolate Chips and the Craisins and place into a medium bowl with the chopped nuts. Be very careful chopping macadamia nuts. They will roll so be sure to use a sharp knife and keep your fingers away from the blade. I like to rough chop them for bigger crunch in my cookies. 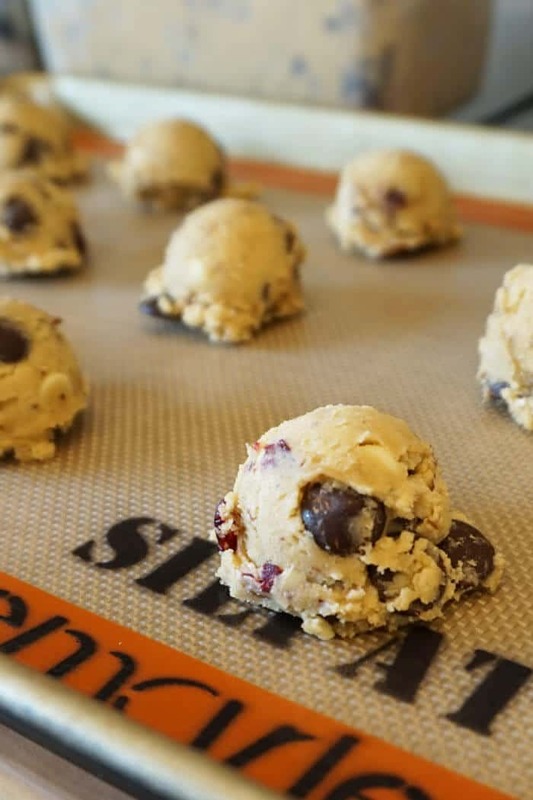 Using your 1-3/4″ cookie scoop scoop 12 balls of dough onto the Silpat-lined cookie sheet. Cook on the center oven rack for 12-13 minutes. Cooking times can vary with each oven so set the timer for 12 minutes and adjust from there. Cookies are ready when they are golden brown. When they’re done to your liking transfer them with a spatula onto a cooling rack. 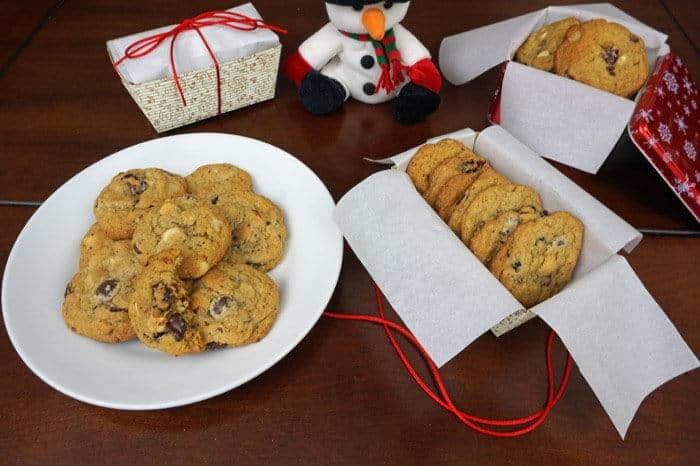 Each recipe makes approximately 4-1/2 dozen cookies. 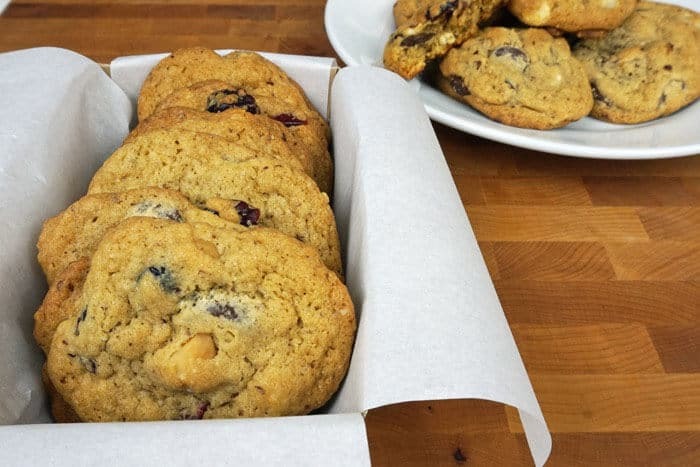 Seriously, these cookies are light years ahead of any recipe you’ll find on the back of a chocolate chip bag. I can’t wait to hear how much you love these cookies! Promise you’ll come back and leave a comment? You will fall in love and make no other chocolate chip macadamia nut cookies but these. Thanks for visiting today! Don’t forget to Pin this recipe to your cookie or baking board. And remember to visit my friends below. Your cookies sound super yummy! I can totally relate to not being able to control yourself around cookies. I have a serious problem 🙂 Thanks for sharing! Thank you so much Marci, what a nice surprise!! I’ll be over to link up as soon as possible! I l.o.v.e. macadamia nut in all the cookies, all the time. They are so fantastic, I can’t wait to make these! Can I also just say I am in love with your packaging there?! Perfect little circles of heaven! These look delish! I hear you on placing desserts in the freezer. I say that my teenagers keep me on my diet since they eat everything they can get their hands on. Your cookies look delectable and I’ll have to try making them this Christmas for the fam. 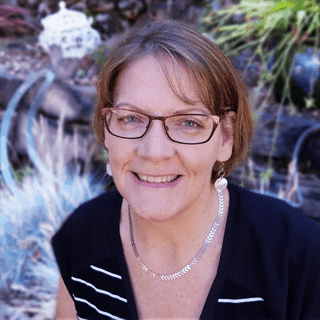 Lovely blog post, my friend! Oh my! I’m the same way with doughnuts. If they’re in the house, I can’t stop! These look delicious and I bet the almond meal gives it a whole other level of flavor. Thank you for participating! If you’ve never tried almond meal in your baking you must, it makes takes them to a whole new level. Thanks Sarah, it was fun doing this cookie exchange with everyone. So many great recipes! Yummy! You had me at Macadamia!!! Can’t wait to try these! These look delicious, I like macadamia nuts and they are supposed to be good for you. 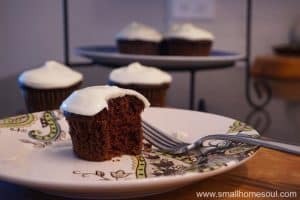 I love your recipe, and I agree with the comment above “even the cookie dough looks yummy.” I will have to make these for my family. Oh Toni…not only do these cookies look delicious but your packaging and pics are adorable. Can’t wait to try these cookies. Thanks Ann, they were so yummy! Even the raw dough looks delicious!!! Being in the freezer in the garage wouldn’t help me…having someone hide them from me might, lol!! Your pictures are wonderful!! 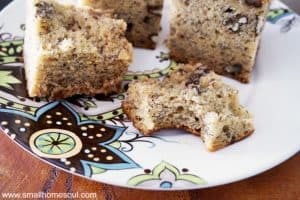 I love using almond meal for baking. It lends such a wonderful flavor. Thanks Sarah, I really love them and didn’t realize this combination was so popular until I was trying to name them for my article.